Posted under Parents' Articles. Updated 20 January 2017. You may be wondering if there is anything in addition to taking medication that your daughter can do to feel better. Since healthy nutrition and exercise play an important role in maintaining overall health, choosing foods that are high in vitamins and minerals, and exercising each day will help keep her body healthy. Is there a special diet for girls with endometriosis? The good news is that we know that some foods can boost our immune system, which in turn, protects our bodies from some illnesses and diseases. Unfortunately, there is limited research on whether certain foods can help improve endometriosis symptoms. Some young women with endometriosis say they feel better when they eat a healthy diet, and some experts believe that eating certain foods can help endometriosis symptoms by lowering estrogen and reducing inflammation. Experts recommend eating plenty of fiber, fewer saturated fats, and more omega–3 fats for overall health. These are healthy changes to make even if they don’t improve your daughter’s endometriosis symptoms. Eat a high fiber diet that includes plenty of fruits, vegetables, beans, whole grains, and nuts. Limit saturated fat by eating mostly plant–based foods, choosing low–fat dairy products, and selecting lean meats. Eat more sources of omega–3 fats such as fish (salmon, mackerel, herring, and sardines), fish oil, canola oil, flaxseeds, walnuts, and pumpkin seeds. How can I make sure that my daughter is getting all of the nutrients she needs? Your daughter should aim to eat a balanced diet with lots of fruits and vegetables, whole grains, plant–based protein, lean meats, and healthy fats. Eating a well balanced diet can help her get the vitamins, minerals, and other nutrients she needs to keep her immune system and body healthy. You can help your daughter achieve this goal by stocking the fridge with lots of fruits and vegetables and keeping healthy snacks made with whole grains in the cupboards. Choose meats that are lean and include chicken, fish, tofu, and nuts for protein. Should my daughter take a vitamin supplement? If your daughter eats three balanced meals a day along with healthy snacks, she is probably getting most vitamins and minerals through the food she eats. If she isn’t eating foods from all of the food groups on a regular basis, she may benefit from taking a daily multivitamin (to make up for any of the vitamins or minerals she isn’t getting in her diet). Encourage your daughter to talk to her health care provider to see if she should take a multivitamin or other dietary supplement(s). Does my daughter need to take extra calcium and vitamin D? Some endometriosis medications work by lowering estrogen levels. If your daughter is on an estrogen–lowering medication for more than 6 months, she may be at risk of developing osteoporosis (brittle bones). Either of you can ask her gynecologist or her primary care provider if she should take calcium and vitamin D supplements to help protect her bones. What about other vitamins and herbs? You may see ads or stories on the internet, in magazines, and even personal blogs that claim certain vitamins and herbs help to treat endometriosis. The truth is, there are no published scientific studies that prove that extra supplements improve endometriosis symptoms. It is important to remember that some herbs (such as ginseng) can actually interfere with medications that treat endometriosis because they exert an estrogen–like action in the body. It’s always best to talk with the GYN team before your daughter decides to take any over–the–counter herbs or dietary supplements. What information should I pay attention to on food labels when I’m grocery shopping? It is always important to pay attention to food labels when grocery shopping. The nutrition facts label is on most foods (except fresh foods such as fruits, vegetables, and meats) and has important information about portion size and nutrient content. Will exercise make my daughter’s endometriosis symptoms worse? Probably not. In fact, exercise may actually improve her endometriosis symptoms. Daily exercise (about 60 minutes each day is recommended for teens) such as walking, swimming, dancing, and other cardio activities will help her to maintain a healthy weight and give her energy. It’s a good idea for your daughter to check with her gynecologist or physical therapist to find out whether it’s okay to participate in very active sports or other strenuous exercise. 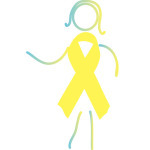 Occasionally very active exercise such as running and jumping may bring on or increase endometriosis symptoms or other medical conditions. Encourage your daughter to communicate with her health care providers and ask questions about the right amount and type of exercise that’s best for her. Exercise releases endorphins. When we exercise, our brain releases “feel good” chemicals called endorphins. These naturally occurring hormones work similarly to pain relievers to lower pain. It only takes about ten minutes of moderate exercise (any exercise that makes you sweat or breathe hard) for our bodies to start making these chemicals. Exercise improves circulation. Moderate exercise gets our heart pumping and improves the blood flow to our organs. This is important because blood carries oxygen and nutrients to important body systems. Regular exercise lowers the amount of estrogen in the body. Since the goal of endometriosis treatment is to lower estrogen levels, regular exercise may help improve endo symptoms. Although nobody knows for sure what the best diet is for someone with endometriosis, healthy eating can improve everyone’s overall health which may help endometriosis symptoms. Consider buying and preparing plant–based foods that are high in fiber and omega–3 fats and are also low in saturated and trans fats. Remind your daughter to balance healthy eating with exercise she enjoys. Even if her endometriosis symptoms don’t decrease as much as you both would like, eating a healthy diet has plenty of other health benefits!